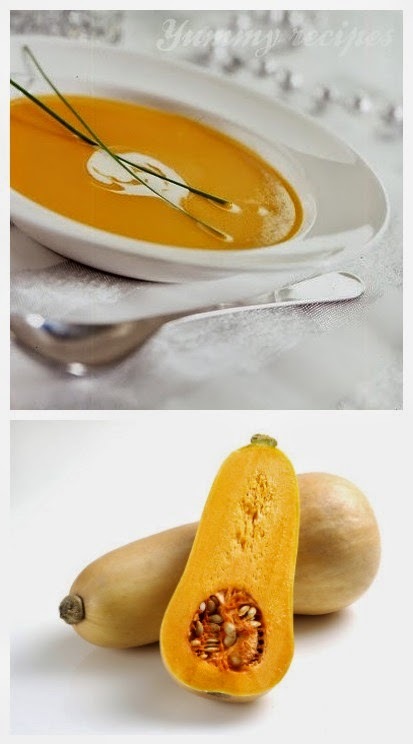 Combine the squash and stock in large saucepan and bring to a boil over high heat. Reduce heat to medium and simmer for about 30 minutes, until the squash is very soft and fork-tender. Remove the saucepan from the heat and purée the mixture with an immersion blender until very smooth and velvety. Return the saucepan to medium-low heat, and stir in the butter, milk and nutmeg along with the salt and white pepper to taste. Cook, stirring, until heated through. Refrigerate until needed or keep warm over low heat. 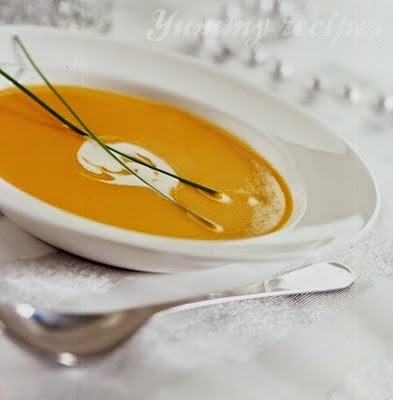 Serve the soup in warmed bowls, and garnish with a swirl of light cream and chives.